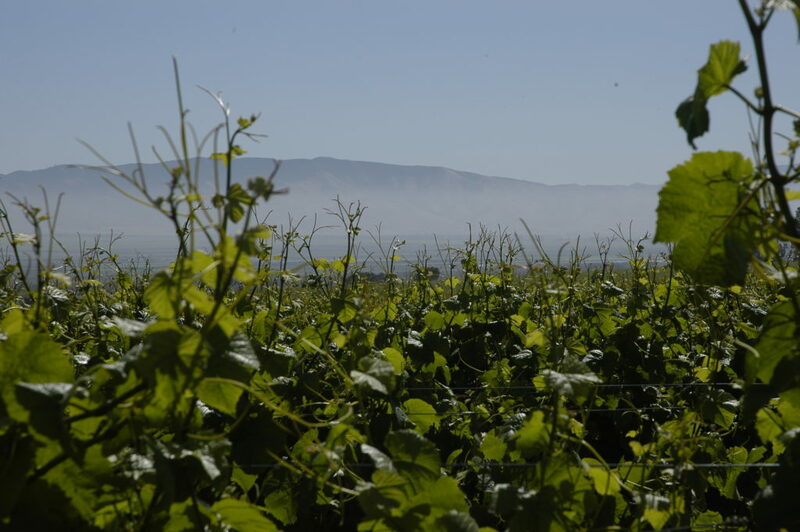 Pinot Noir might have been put on the planet to grow in the Santa Lucia Highlands. The weather is perfect! Located at the bottom of the eastern side of the Santa Lucia Mountain Range, in Monterey County. 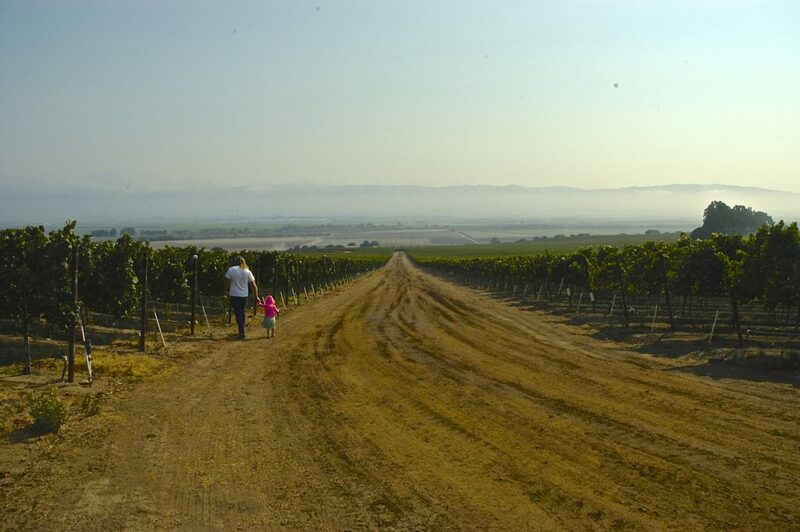 The mountains there, are the only thing that separates this prestigious grape growing region from the ocean. Cool nights from the ocean air is one of the factors that sets SLH above the rest. Coupled with the fact that the days get hot enough (not hot necessarily, but hot enough) to ensure ripeness. Those two elements alone are special. Heat to make sure the flavor is there. Cool nights to preserve acid and slow down that ripening to allow for some hang time. So when I decided to explore the idea of making Pinot Noir I naturally gravitated towards the Highlands. After walking a row or two in a handful of places I ended up at Escolle Vineyard. The first thing that struck me was how well maintained everything there is. The Folks that farm this site care and it shows. Not only is it manicured perfectly, it is all done with purpose. Independant data is collected in each block, so that whatever farming practices are needed to best ensure quality of fruit are implemented. Another appealing aspect of this site is its 30 rootstock/clone variations. Pinot Noir, in my opinion, is the varietal most sensitive to the specific clone. With a more delicate flavor profile the little things are more noticeable. The wine that comes out of this site reflects these amazing attributes. Solid concentration, aromaticity speaking, it jumps out of the glass like a grasshopper, and loaded with structure. 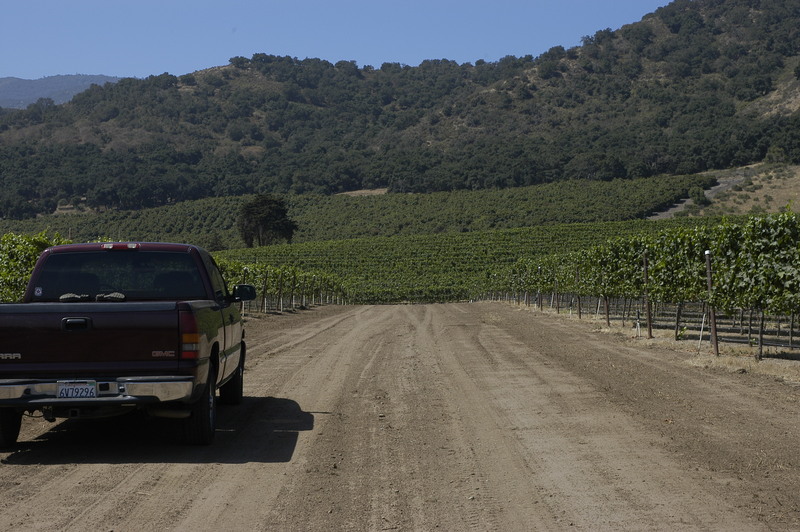 This vineyard is on the young side but already has shown so much promise. We plan on sourcing fruit from this site for years to come. Next time you are in the tasting room ask us for a taste of something from Escolle, and you will see for yourself. A true gem in the heart of an already amazing region. “Take your daughter to work day” is often and I don’t mind one bit. 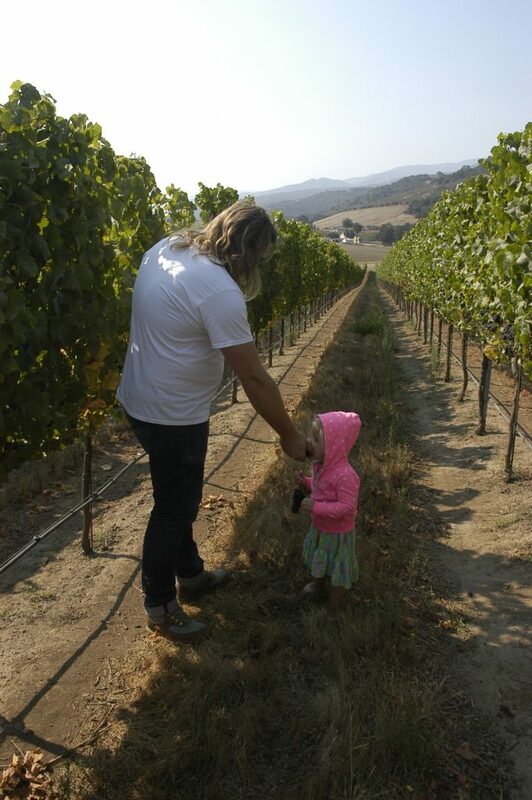 Flori and I tasting grapes ahead of the 2016 pick. A great view of the fog line that comes in from the ocean every night, and lingers late into the morning.